Car Hire in Dublin Airport without Credit Card? To the attention of German quality and excellent service admirers, please, welcome a choice of Mercedes on Dublin Hire! 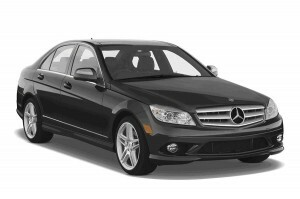 Check out the prices for Mercedes cars in Dublin! Vehicles from the best car rental companies: Sixt, Dooley, and Budget. German quality for connoisseurs of comfort, 4-door vehicle with the capacity of 5 passengers. Mercedes Vito Traveliner meets your requirements in the best possible way and it is easily adapted to your specific needs, it has room for up to 9 people! What do the rates include? What comes in addition to your car? Fuel charges are not included into the rental price, so read which fuel condition you have according to the deal. You can either pick up and return full tank of fuel or you can pre-purchase it. Also, charge for special tools and devices, like baby car seats and GPS navigators, are not included. You can see the prices on “Rental Conditions” as well. Additional insurance coverage and the insurance access are also worth your attention. If you intend to travel with an additional driver, consider surcharges (from €9.5 per day from Sixt and Avis to €10.78 per day from Budget). Cross-border travel is allowed only to Northern Ireland (Sixt requires a written permission; it will cost you €29). Read what happens if you cancel your reservation shortly before arrival to avoid incurring administrative fines. Notice that minimal driver’s age is higher than for hiring mini, economy and compact cars. When you rent Mercedes, pay your special attention to the driver’s license requirements which are mentioned on “Rental Conditions” section along with other important details. 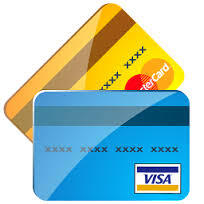 You must pay only by credit cards (American Express, MasterCard and Visa) which must be on the name of the main driver. When you make a reservation, be sure that you have enough limits on your card to cover the excess and all the car rental expenses.